19th Dubai World Dermatology and Laser Conference Exhibition’ which took place on 18th – 20th March 2019 at Dubai World Trade Center. 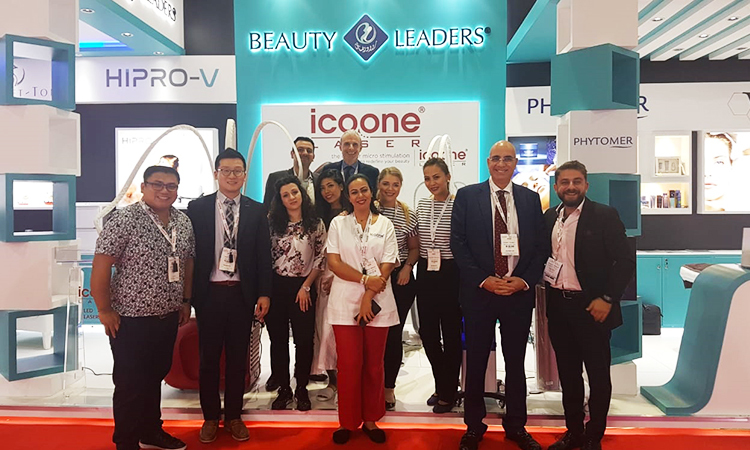 The exhibition was a great success and we had the opportunity to see our loyal customers and to Introduced the newest Icoone Laser in Dubai Derma 2019 – The ultimate technology in skin treatment for body and face. The newest icoone® LASER is the unique aesthetic and medical device for face and body based on Roboderm®, an innovative patented technology that combines a new generation of Independent Motorized Microstimulators with the power of LED and LASER. This innovative combination offers a gentle yet efficient skin stimulation to treat different kinds of blemish. Here are some selected photos and we hope you enjoy them.! !